The mission of the Storm Water Grant Program (SWGP) is to promote the beneficial use of storm water and dry weather runoff in California by providing financial assistance to eligible applicants for projects that provide multiple benefits while improving water quality. Our vision is to change the perception of storm water and dry weather runoff as a contaminant source to a valuable resource, to recharge groundwater aquifers, reuse for domestic purposes, support watershed processes, and beautify communities creating habitat and open spaces. The purpose of the SWGP is to fund storm water and dry weather runoff projects that best advance the Water Board's policy goals of improving water quality and realizing multiple benefits from the use of storm water and dry weather runoff as a resource. In November 2014, California voters approved Prop 1, Water Quality, Supply and Infrastructure Improvement Act of 2014. More information on upcoming Prop 1 activity and announcements can be found at: SWGP Prop 1 Funding. The SWGP Unit was established after the passage of Proposition 84 (Prop 84), the Safe Drinking Water, Water Quality and Supply, Flood Control, River and Coastal Protection Bond Act of 2006. More information on Prop 84 can be found at: SWGP Prop 84 Funding. Sacramento State Office of Water Programs designed a California Phase II Low Impact Development (LID) Sizing Tool through a Prop 84 SWGP Planning Grant. The sizing tool can be used to assist in selecting and sizing LID Best Management Practices (BMPs) that meet the sizing requirements in the statewide Phase II MS4 permit. The International Stormwater Best Management Practices (BMP) Database project website features over 530 BMP studies, performance tools and analysis results, monitoring guidance and other study-related publications. The State Water Board issued two General Permits (listed above) to address most of the industrial facilities and construction sites within California. The State Water Board issued two state-wide Municipal Permits (the CalTrans MS4 Permit and the Phase II MS4 Permit). A number of Regional Water Boards adopted individual storm water permits. 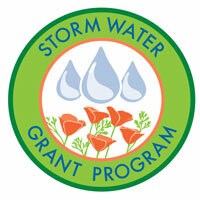 Access the Storm Water Program's website.